Grandpas are the best. 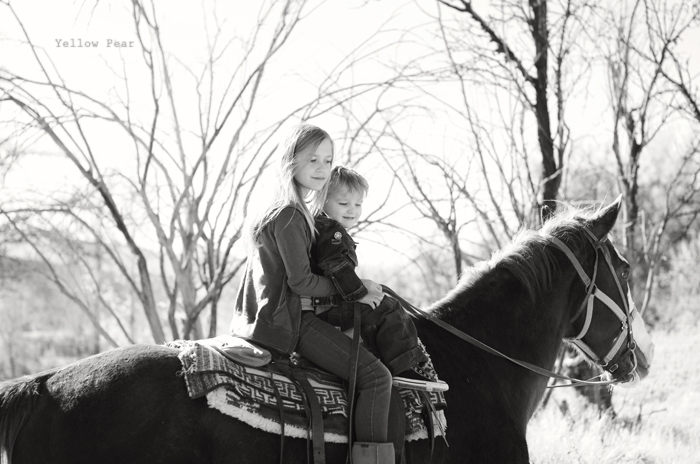 They teach you all sorts of cool things...like how to harvest rutabagas and ride horses. My dad is a gardening enthusiast (to put it lightly). He has a lettuce garden, fruit trees, grape vineyards, an exorbitant amount of tomato plants, snap peas, cucumbers, corn, onions, chilies and squash (and I think sweet potatoes). 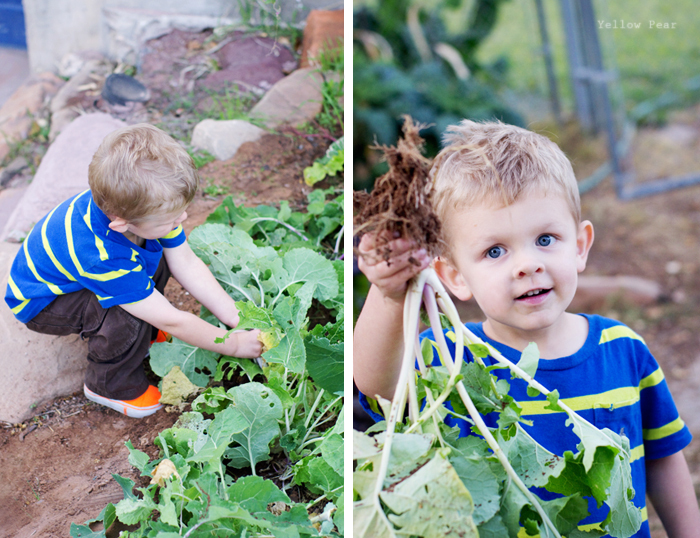 He's also tried new things like eggplant, some kale, kohlrabi, and even rutabaga. And I'm sure I'm forgetting something. 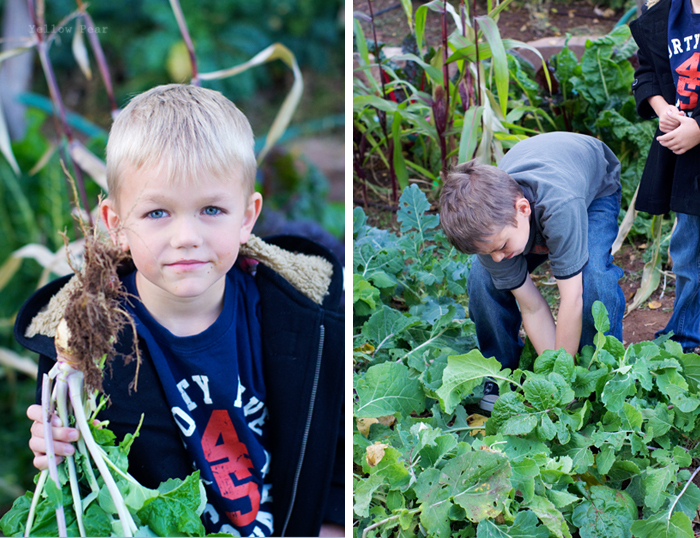 So when we visit, the kids always help pull weeds, transplant this or that, haul dirt, pull out dead plants, or harvest. This last time was the rutabaga harvest. 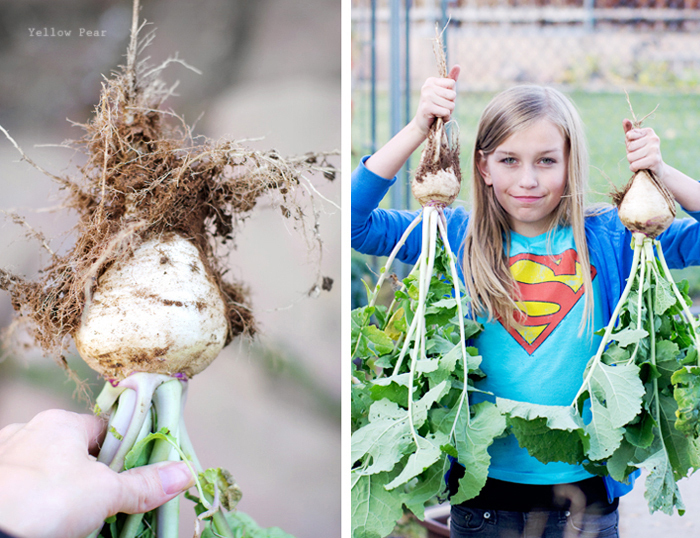 None of us has ever really had a rutabaga, but it was fun watching the kids try and pull them out of the ground. They have some mighty strong roots. Plus they remind me of the mandrakes from Harry Potter. Check it out. One even had a face...for real. I just opened the file and there it was staring back at me. Crazy. 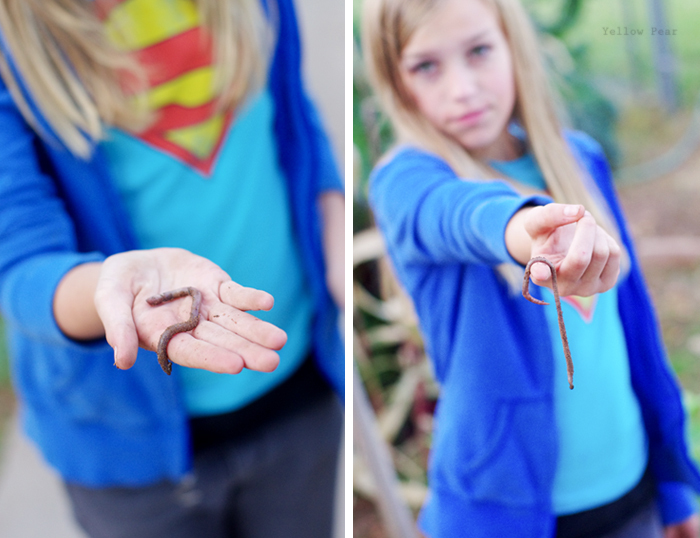 And my daughter loves worms. Their grandpa on the other side is a cowboy and the little boys eat.it.up. 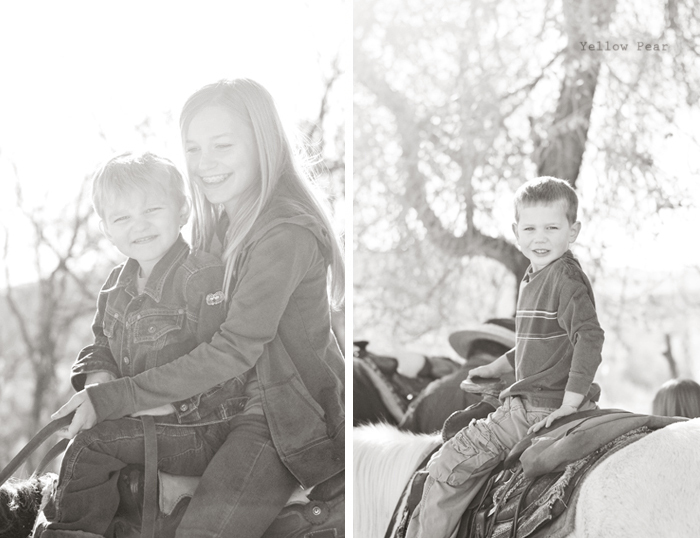 There is always plenty of horse-ridin' to be done when we visit. Grandpa rounds up and saddles all the horses (no easy task) and helps each willing grandchild take a turn (and there are many). 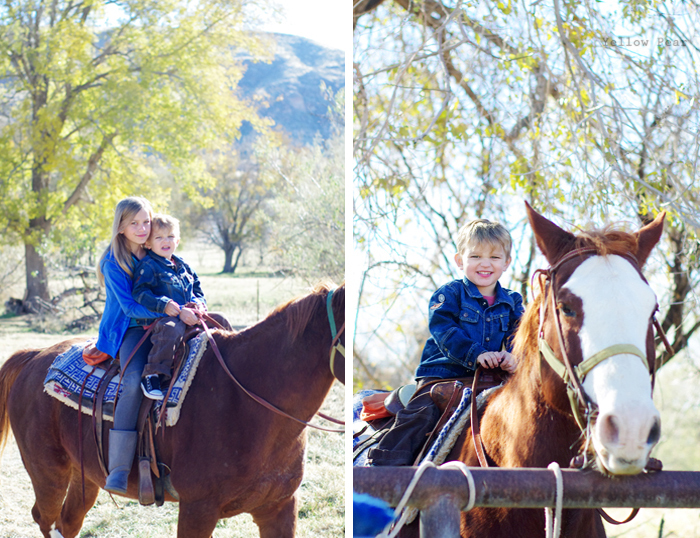 Dennis is becoming quite the accomplished rider and spent a good portion of time roaming the fields with his cousin...each on their own horse. I watched them from the window and kept thinking I needed to get a picture of the wee little cowboys. But alas, dishes and pictures, and wedding plans, and family stuff kept me busy and I forgot. I shall try harder next time. At least I got some snaps of Q and Miss B. They had a lovely little ride that Q thoroughly enjoyed. 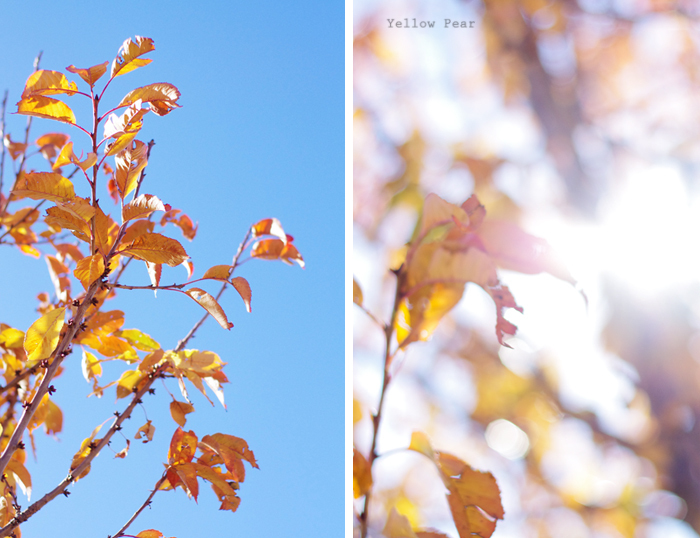 And while they rode, I took pictures of Grandma's cherry tree in all it's glorious fall splendor. It's a delightful little tree. I need your dad's gardening secrets. I can't grow hardly a durn thing here in SG it's so dang hot. Who's getting married, Lou? ?